Growing up pasta was my favorite meal! I literally couldn’t get enough!! I frequently enjoyed a pile of pasta laden with butter and garlic, or with meatballs and tomato sauce, or drenched in a creamy cheesy Alfredo. I would stuff myself to the brim and enjoy every slurpy bite. Then my teenage hormones kicked in and every delicious bite went straight to my backside! Yikes!! So, I decided to cut way back on my pasta consumption! Only on occasion would I indulge. Then I decided to let go of eating processed food! That was it, my love affair with store bought pasta was over. But like any true love it’s hard to say goodbye. Much to my delight I discovered veggie noodles!! 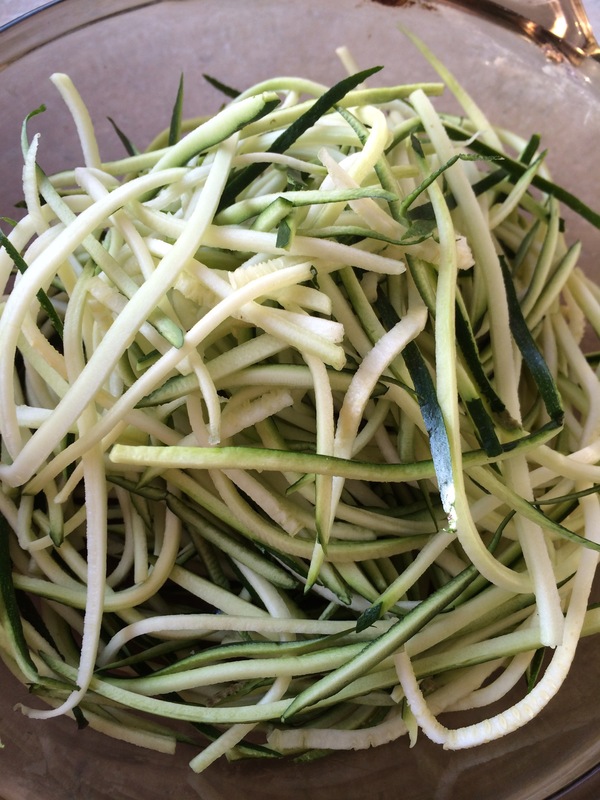 All you need is a spiralizer, or a mandolin with a noodle attachment. Heavenly long strands of sweet potato noodles, butternut noodles, zucchini noodles, carrot noodles could all be mine!! I could enjoy as much as I like, as often as I like…I fell in love all over again!! Best of all its veggies…yeah!! And gluten free!! 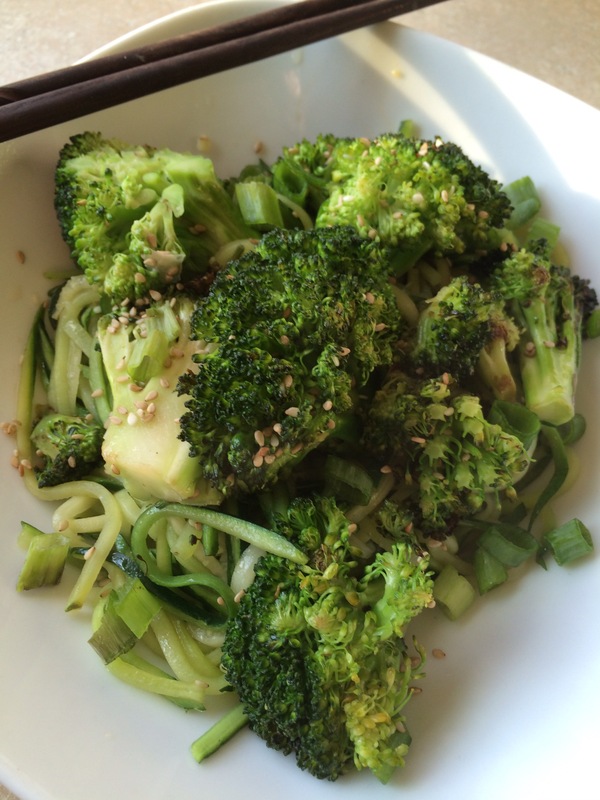 This recipe for Paleo Sesame Noodles is a delicious light summer meal. Sautéed broccoli in the coconut oil until cooked throughly and a little brown on the edges. Season with sea salt. While the broccoli is cooking boil some salted water. 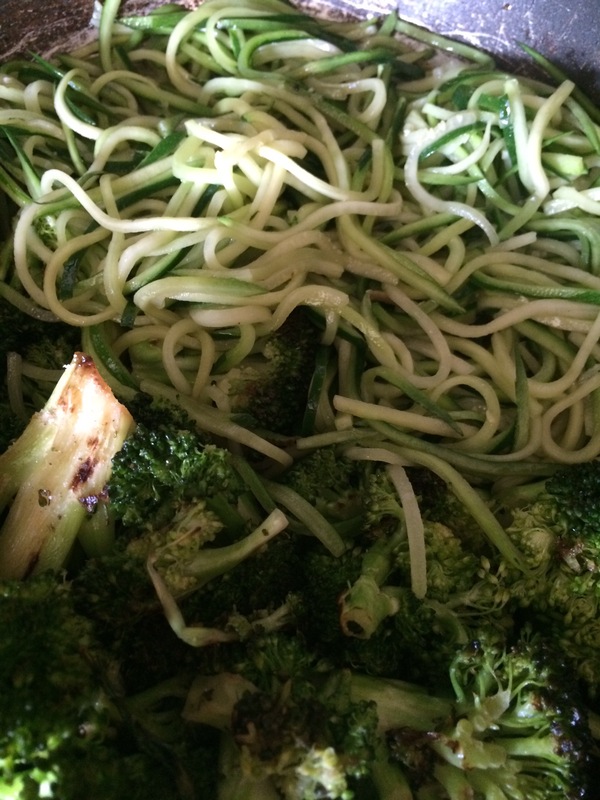 Add the zucchini noodles to the boiling water and cook for a few minutes. 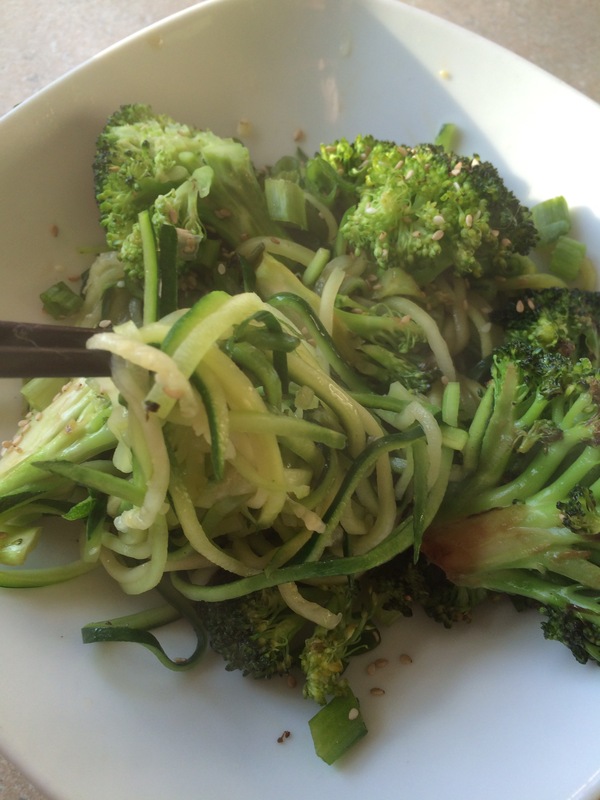 Strain the noodles and add to the pan with the broccoli. Add the sesame oil and sesame seeds. Toss together. Next PostNext Jalapeno Lentil Hummus!